When one preaches or speaks on the doctrine of the Trinity, it is always an experience of pleasure and fear. It is pleasure in describing and proclaiming the God of Heaven, and fear of misconstruing the truth, even in unwitting misrepresentation. This is because the Trinity is a weighty and highly applicable subject. It is weighty in how much ink has been spilled about it, and in the value of the subject. The Triune God was valuable enough to split the catholic church into east and west in 1054 a.d. It was valuable enough to be the focus of the four major early creeds, Apostles’, Nicene, Chacedon, Athanasius. It was valuable enough for Jesus himself to spend an extended period of time speaking about it in the upper room just before his arrest and crucifixion (John 17). It also has many practical implications and implications for other doctrines and practices. The practical implications of the Trinity regard worship, theology, creation, and the relation of men and women to one another in the estate of marriage and in the church. The topic which this paper will address is the relationship between the economical subordination of the Son of God and the subordination of wives to husbands and women in the church. The way one understands the Triunity of God shapes his understanding of gender roles in the church and family. For example, evangelical-egalitarians and feminist theologians have adopted a kind of Augustinian view of the Trinitarian persons, which denies the economical subordination of the Son. This is the precondition for their belief that men and women should have equal opportunity to the ministry, and for their anti-domestic view of wives. The persons are equal, not ordered. One feminist theologian wrote, “[To argue that] the subordination of the Son to the father is the theological basis for the subordination of women to men, or of any group to another, is to promote the Arian view that the Son was subordinate to the Father, a view which was condemned as heresy by the early church” The way one understands this ultimate issue shapes one’s view of many particulars, including the way men and women relate to one another in the church and family. The way one frames issues is very important. This section will seek to set forth the current debate and the relevance of the arguments within the body of the paper. It seems right to let ladies go first in framing the issue (considering the subject at hand, and the clarity with which Anne Carr set forth the issue). Anne Carr, following feminists Trinitarian scholar Catherine Mowry LaCugna, argued, “Unlike feminists who reject masculine titles and the way social subordination has been justified by appealing to the subordination of the Son to the Father, LaCugna and Johnson retrieve aspects of tradition that are both reflective of women’s experience and faithful to central strands of the [Christian] tradition” She then went on to give three major points which their view of the Trinity imply. These are as follows. First, analogies of God in the Bible should not lead us away from applying feminine attributes to God. Second, the relationship in the Trinity is the basis for the relationship of humans. Third, the relationship in the Trinity is one of equality, not order. We agree with the second of these, so long as it is understood that this is an analogical similarity between human relationships and the intra-Trinitarian communion. It is precisely the first and third points at which we have contention. Feminists ignore the truth of Biblical analogies. Though they accept that the Bible speaks in analogical terms, they hold that God’s character was not really represented by them. Thus, feminists really view knowledge of God equivocally. These theses, and this framing of the issue, which Carr set forth are held by the broad consensus of evangelical and progressive feminists. Thus the paper will draw from, and critique, both. We will argue that subordination of economical role/order is present in the analogies scripture used to describe the Triunity of God. First, the analogies in scripture are true analogies, though limited as they are accommodated to finite beings. Second, the two Biblical analogies of Father and Son and the speech act demonstrate clearly the ordering of the Trinity. Third, there are certain incommunicable attributes to the discrete subsistences in the Triune God. This is the precondition for all order in all spheres of human life, but particularly so in marriage and the church as these are Covenantal arrangements. She held a strange amalgamation of denial the truth of Biblical analogies, acceptance of Augustinian analogies. The common procedure they follow is denial of the truth of the Biblical analogies, and then acceptance of the use of categories from Augustine or life to re-interpret the scripture. Scorgie gave the example of auto-shop run by two men with mutual leadership rather than hierarchy. Though it may be a good illustration of the de jure divino truth of Presbyterianism, this analogy does not pertain to the Trinity simply because it exists in the world. Carr argued, “The Christian God is not a ruling monarch, but a ‘tri-personal mystery of love.’” Carr and Scorgie reflect this tendency to use other analogies in the place of scriptural ones. St. Augustine has been cited as the fountainhead of much of this view. Augustine’s view of the Trinity was analogical, but he sought to find analogies of the Trinity in man, the image of God. The initial problem with Augustine’s method was, though the Bible gave analogies which were inspired by God, he sought analogies which he found in nature. 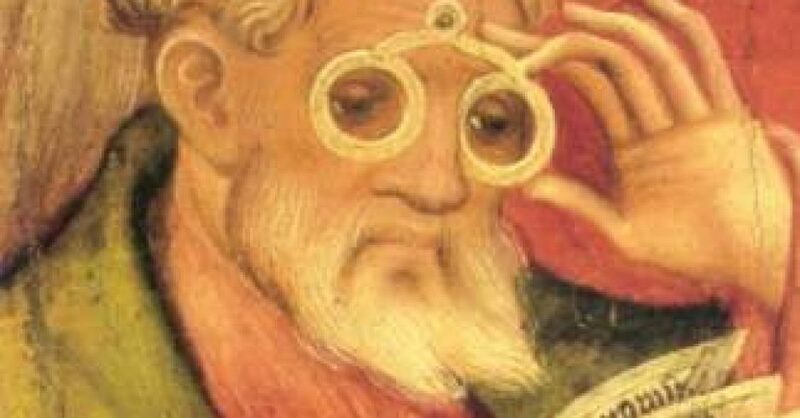 The analogies Augustine used were love, thought, and the mind. The common problem with the love and mind analogies is that they are not analogies of distinct persons, but what one person does. A singles person is the knower, has knowledge, and the known. The single person is the lover, and has love, and love oneself. His thought analogy of knowledge, memory, and will commits the same error. These are abstract faculties in the human person. Thus, Augustine has been criticized for implicitly making the Triune God out to be modalistic and unipersonal. Robert Letham wrote, “These are all abstract qualities, not concrete persons, and they are all qualities of a single mind. Again, how is the triad of memory, understanding and will in book 10 ([Augustine’s] favorite illustration) different from modalism?” The methodological problem with using human analogies is that it only leads to confusion of the doctrine since it rejects scriptural analogies in favor of natural ones. We argue that the Bible gives the only authoritative analogies, and that, though accommodated, Biblical analogies are true. John Calvin argued that all human language and thought was analogical. He argued that the Scripture guides theological conclusion as a standard, “Still, however, some medium must be observed [as a means of teaching truth about the Trinity]. The unerring standard both of thinking and speaking must be derived from the scriptures: by it all the thought of our minds, and the words of our mouths should be tested.” He argued that the Bible was the final authority. Further, he argued that the Church had, and must, use human language to describe these doctrines, but not without questioning the truth of the claims by the standard of Scripture. The reason he argued this was that the Scripture set forth several analogies of God which communicate authoritatively and truly what is to be believed about God. The next section will focus on these analogies. The second thesis which Carr set forth, as cited above, was that the Trinity is the ground for all human relationships. This assertion is true. However, the way one interprets the Trinity affects the trajectory of these relationships. In this Augustinian vein, all are equal, and there is no ground for any hierarchy whatsoever. This is the tie that binds our current study of the Trinity to the feminist theology. For example, Gilbert Bilezikian argued that the persons in the Trinity are equal. He said, “The doctrine of the eternal generation of the Son, itself a creedal construction subject to aleatory interpretations rather than a strongly attested Biblical motif, and terminology such as Father and Son designations intended to convey ineffable mysteries into the immanency of human language have sometimes given way to simplistic anthropomorphic projections not warranted by Scripture.” He interpreted the eternal procession of the Son as, “By definition the doctrine of eternal generation pertains precisely to ‘essence or being’ since it defines the Son’s filiation. It says nothing about roles, much less about subordination.” He denied the economical ordering of the members of the Trinity, and thus argues that the persons are economically equal, and thus mutually love one another by mutual submission. The problem with this view is that they ignore the ontological/economical distinction. Bilezikian and Scorgie use the term “split-level Trinity” to describe the view that though there is an ontological unity in the Godhead, the persons have an order. They argue this on the basis that the only subordination of any person of the Trinity was the subordination of the Son in the incarnation, which was only temporary. We argue that they do not deal with the analogies in scripture which describe the Triune God as having a set order. The scripture gives at least two analogies which distinguish between the persons of the Trinity, namely fatherhood and speech. The relation of the Father to the Son is one analogy which characterized the economical distinction between the persons of the Trinity. This analogy proves that the Son is in some way Son to the Father. All analogies break down at some point, so our task is to interpret scripture’s usage of this analogy in various contexts. “Father” was used generically of the fatherhood of God over his people (Mat 21:31, John 4:21). These contexts do not particularly color the sense in which Father was used specially as the relation to Christ. In Paul, there is a special sense in which God is the Father of Christ. 1 Corinthians 8:6 says, “yet for us there is but one God, the Father, from whom are all things and we exist for Him; and one Lord, Jesus Christ, by whom are all things, and we exist through Him.” The creation was from the Father, but by/through the Son. The source is the Father, but the means was the Son. The Father created per the Son. Further, redemption was from and for the blessing of the Father, but was brought about through the Son. Ephesians 1:3 says, “Blessed be the God and Father of our Lord Jesus Christ, who has blessed us with every spiritual blessing in the heavenly places in Christ,” Here God the Father is the actor, but he did his action for the people in Christ. The analogy of fatherhood and son-ship is not simply command and obedience, nor, simply, the incarnation itself (though the term Father often did have that meaning). These verses point to the way God acts. The Father accomplishes his will through the Son. The persons have distinct roles, but one essence, and thus work in perfect harmony. The titles given to the second and third persons of the Trinity are Word and Spirit. John of Damascus argued that this was an analogy of the Triune God. The Father was the speaker, the Spirit was the spirating wind, and the Word was the sound carried into the air. He argues that the son and Spirit should be understood as distinct persons, and that the accent of this analogy is not on the unity of the essence of God, but serves to illustrate the function of the persons. The Father speaks through the Son, by the Holy Spirit. Similarly, Calvin formulated the relation of the persons along similar lines. He argued that when the persons are compared to one another, there is some distinction being made in scripture which must be understood as showing incommunicable attributes between them. He pointed to 1 Peter 1:11 which mentioned that the Old Testament prophets spoke by Christ’s Spirit. The second and third persons of the Trinity were present, prior to the incarnation, speaking through the Prophets. He then pointed to Hebrews 1:2 which says that the world was created and is sustained by the Word of God. The point is that “We see here that ‘word’ is used for nod or command of the Son, who is himself the eternal and essential Word of the Father.” When God the Father commanded creation to exist or bear fruit, that command was accomplished through the Son. We hold Calvin’s view in general to be an accurate interpretation of the Biblical analogy of Word, Spirit, and Speaker. Much more could be said along the lines of speech act theory, but the goal here is simply to demonstrate that the Bible has its own analogies which point beyond themselves to the Triune God’s economical ordering. Most importantly, the incommunicable personal attributes which the persons have preclude any kind of mutual subordination. The feminists brought an onto-argument to an eco-fight. Their argument was that the persons were totally equal. With this we agree completely, so long as it is understood that the equality is in their essence, and there is distinct order among the persons. The personal attributes which the Father, Son, and Spirit have are incommunicable between one another. It is only the Son’s to be the Word of God, not the Spirit nor Father. It is only the Father’s to eternally beget the Son. And only the Spirit’s to bring to fulfillment all that the Son has arranged, and the Father willed. This is not a chauvinistic subordination analogized in the Triune, but perfect command, obedience, and accomplishment of God’s will. God speaks and the creation exists and is sustained, and in that speech the Triune God harmoniously acts. The Son and Spirit do love the Father perfectly, but they do so by way of their respective functions. The two Biblical analogies of Father and Son, and the speech act demonstrate the ordering of the Trinity in scripture. This is not tyranny but harmony. Harmony only comes about when distinct roles play distinct but complementary parts in accomplishing the same act. God’s acts are harmonious exercises of all three persons of the Triune. The analogies in scripture demonstrate this. It would be incoherent to give another analogy which contradicts the clear statement of scripture. Therefore, since the unity of essence is not harmed, and the scriptural analogies are affirmed as true, then this doctrine should be sweet and harmonious to those seeking to submit to Biblical and historic Christianity. Glen Scorgie argues that the Son of God was only subordinate when he was on earth, and no longer is so. Christ’s subordination in the Covenant of Works was because he was and is the Word of God. The role of Word was not a temporary thing, but the second person of the Trinity has always been the Word of God, and thus it was not random, nor temporary that the Son has this role. In a real and legal sense, the Son freely entered into a subordinate role when he took flesh upon himself and acted as a new covenant head (Rom 5:12ff). There is little disagreement from the feminists that the analogies in scripture teach order not flat equality. The issue is really whether the analogies are true or not. They believe that the analogies of the Triunity of God in Scripture are not true reflections of his character. They call them analogies, but treat them as equivocal statements. Nevertheless, they return to analogies, but those which are foreign to Scripture, and native to earthly experience. Namely, they use Augustine’s love, mind, and thought analogies. The hole in this argument is that one cannot have his cake and eat it too. Both things cannot be true at the same time. If Biblical analogies are an off-limits source for theological conclusions, then how much less should Augustine’s be? The real issue is not over the use of analogies themselves, but over which analogies are to be used. We agree on this one point, the Triune God is the ground of all order in creation. However, the Biblical analogies by which we interpret that ultimate reality do not teach flat equality, but harmonious order. Therefore, we encourage feminist scholars to reinterpret their categories to fit in line with the Biblical record, not according to artificial categories placed upon the Triune God. Augustine. The Trinity. Edited by John Burnaby. Vol. of Augustine: Later Works. Ichthus. Philadelphia, PA: The Westminster Press, . Bilezikian, Gilbert. “Hermeneutical Bungee-Jumping: Subordination in the Trinity.” Journal of the Evangelical Theological Society 40/1 (March 1997): 57-68. Calvin, John. The Institutues of the Christian Religion. Grand Rapids: Hendrickson, 2008. Carr, Anne and Douglas Schurrman. Religion, Femenism, and the Family. Edited by Anne Carr and Mary Stewart Van Leeuwen. Louisville, KY: Westminster John Knox Press, 1996. Erickson, Millard. God in Three Persons. Grand Rapids, MI: Baker Book House, 1995. Hall, Jason. “A Review of Jesus and the Father: Modern Evangelicals Reinvent the Doctrine of the Trinity by Kevin Giles.” Journal for Biblical Manhood and Womanhood 12/1 (Spring 2007): 32-39. Horton, Michael. Lord and Servant: A Covenant Christology. Louisville, KY: WJK, 2005. Letham, Robert. The Holy Trinity. Phillipsburg, NJ: P&R, 2004. Schemm, Peter R. “Kevin Giles’ The Trinity and Subordinationism: A Review Article.” Journal for Biblical Manhood and Womanhood 7/2 (Fall 2002): 67-78. ———. “The Subordination of Christ and the Subordination of Women (Ch 19) by Kevin Giles.” Journal for Biblical Manhood and Womanhood 10/1 (Spring 2005): 81-87. ———. “Trinitarian Perspectives on Gender Roles.” Journal for Biblical Manhood and Womanhood 6/1 (Spring 2001): 13-20. Scorgie, Glen G. The Journey Back to Eden. Grand Rapids, MI: Zondervan, 2005. Since both camps, evangelical egalitarians and liberal feminists, agree on this point, we will use a single term, Feminists to describe them. However, when necessary for being honest with the camp to which a thinker belongs, we will identify them more accurately. See this common thread in Peter R. Schemm, “The Subordination of Christ and the Subordination of Women (Ch 19) by Kevin Giles,” JBMW 10/1 (Spring 2005): 81-87, Peter R. Schemm, “Trinitarian Perspectives on Gender Roles,” JBMW 6/1 (Spring 2001):13-20, Peter R. Schemm, “Kevin Giles’ The Trinity and Subordinationism: A Review Article,” JBMW 7/2 (Fall 2002):67-78. The Trinity, 9:2 (ii) That is not to say that the analogies in the Bible are perfect, but they are certainly true. Scorgie is essentially the same as Bilezikian, so we will not labor out quotations.